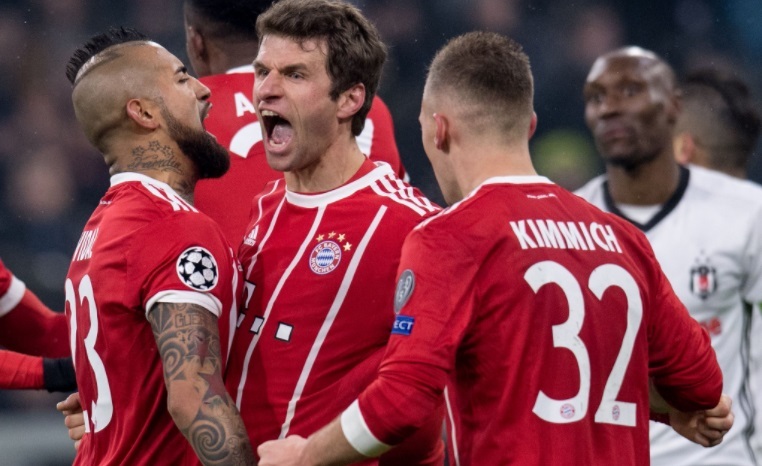 FC Bayern Munich are set to visit to host turkish side Besiktas in the Round of 16 first leg match in the UEFA Champions League in what should be a massive game for Bayern Munich. 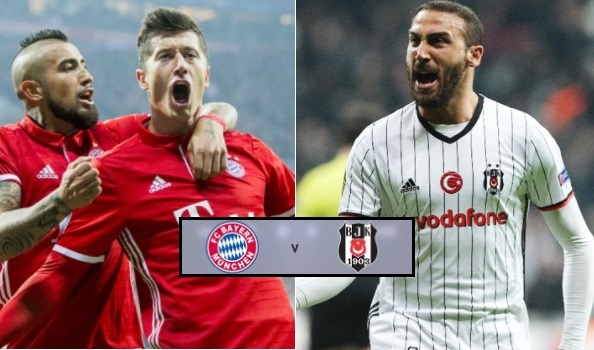 The first leg will be played at the Allianz Arena in Munich and Besiktas will be hoping to build on their incredible group stage performances where they became the first turkish side to win their group. Match will kickoff on Tuesday, 20th February 2018 at around 20:45 CET / 19:45 uk time. Bayern Munich have reached atleast the quarterfinal stage of Champions League in each of the last 6 seasons and they will be favorites going into the first leg. But since Besiktas are playing second leg at home, if they can get a decent result in Munich they will fancy their chances against a Bayern side who don’t look like the force they were under Guardiola. Besiktas are playing the knockout stages of the Champions League for the first time in their history while Bayern are the usual suspect in this competition. Team News & Possible Lineups: Bayern are set to start with the trio of Robert Lewandowski, Coman and Thomas Müller in attacking roles while James Rodriguez, Javi Martinez and Athuro Vidal to start in the central midfield roles. As far as the back four is concerned, Boeteng and Hummels to start in central defense while Alba and Kimmich to play as full backs. Ulreich will be in goal in place of Manuel Neuer who is still struggling with foot injury. Besiktas on the other hand will have Vagner Love upfront with Babel, Quaresma and Talisca in attacking roles with Hutchinson and Oguzhan playing in midfield roles. This is how i expect both teams to lineup on Tuesday night. Match Predictions: Bayern Munich will be odds on favourites considering the talent available and the rich history of the club. However, this Besiktas side is one hard nut to crack as we saw in the group stages. Since they are playing second leg at home they will fancy their chances against Bayern Munich specially if they can hold out Bayern Munich in the first leg. Having said that I am going with a narrow win for Bayern Munich probably on away goals.